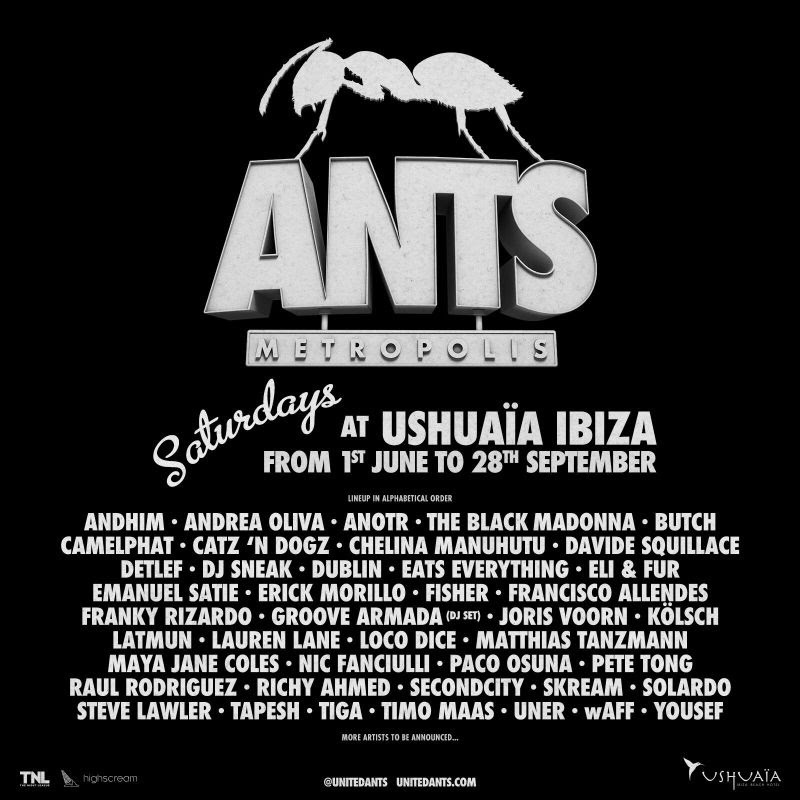 Tiga, DJ Sneak, The Black Madonna, Maya Jane Coles, Lauren Lane and Timo Maas will play the ANTS residency at Ushuaïa Ibiza this summer. From Saturday, June 1st to Saturday, September 28th, the open-air club will be turned into an underground world, the ‘ANTS Metropolis’. The venue will become a bustling underground city in an immersive production that focuses more on the ANTS colony as a society, hard at work in today’s modern world. Other DJs providing the soundtrack for the 18-week series include Andrea Oliva, Solardo, Francisco Allendes, Davide Squillace, Joris Voorn and CamelPhat. This will be ANTS seventh consecutive season at Ushuaïa with Kölsch, Nic Fanciulli, Pete Tong, Steve Lawler and FISHER also playing. For tickets and details go to unitedants.com.